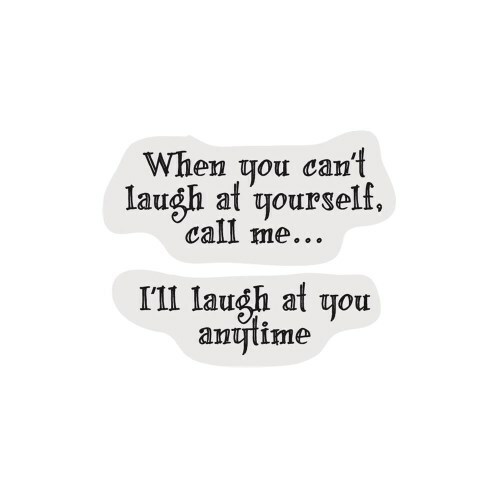 This is a deep etch red rubber stamp called Laugh At Yourself and is from Creative Vision. 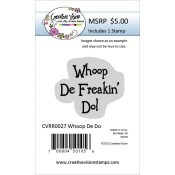 Add a great phrase or image to your paper project with this rubber stamp. These red rubber stamps are repositionable and backed with a special material that uses static cling to stick securely to acrylic blocks for clean; easy stamping. This is a set of two rubber stamps that measure approx 2 x 3/4 inch.